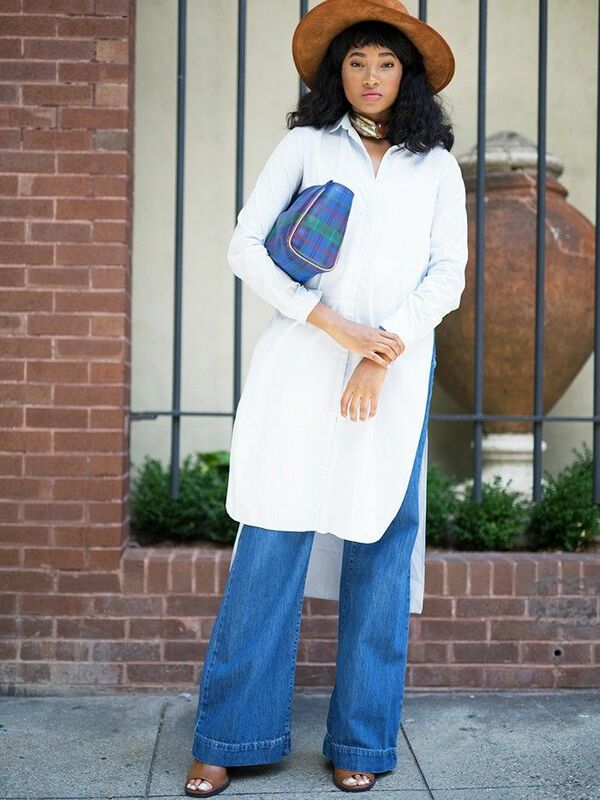 By now you're no doubt well versed in the slip dress–over-tee layering phenomenon of summer 2016 (and at some major point during the '90s), but there's a group of girls who now have big plans for your shirt dresses too. In order to segue your other favourite frocks into newness and the new season, you'll need to get layering on the bottom half instead: Jeans, meet shirt dress. There are many forms this look is taking on the streets: Whether a blue ticker-striped knotted number over flares and flats or a more serious tunic piled onto the raw-hemmed denim you've been wearing all year long, it's basically September's answer to feeling like you're holding onto the holiday months, but still not giving into the complete cosiness of autumn. Ready to give it a try? Scroll down to see our three favourite versions of the dress-over-jeans combination—and shop a few key pieces in case your wardrobe isn't bursting with these staples already. 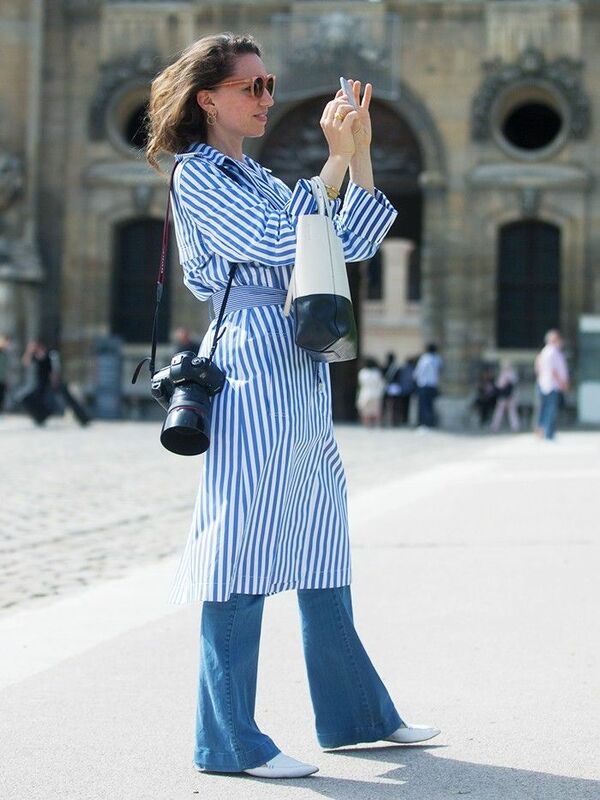 Style Notes: Street style photographer Sandra Semburg got the memo: Her striped Céline shirt dress perfectly matches the blue of her jeans and the white of her Nicholas Kirkwood loafers. The tie-waist also helps define her silhouette, which makes this one very clever outfit indeed. 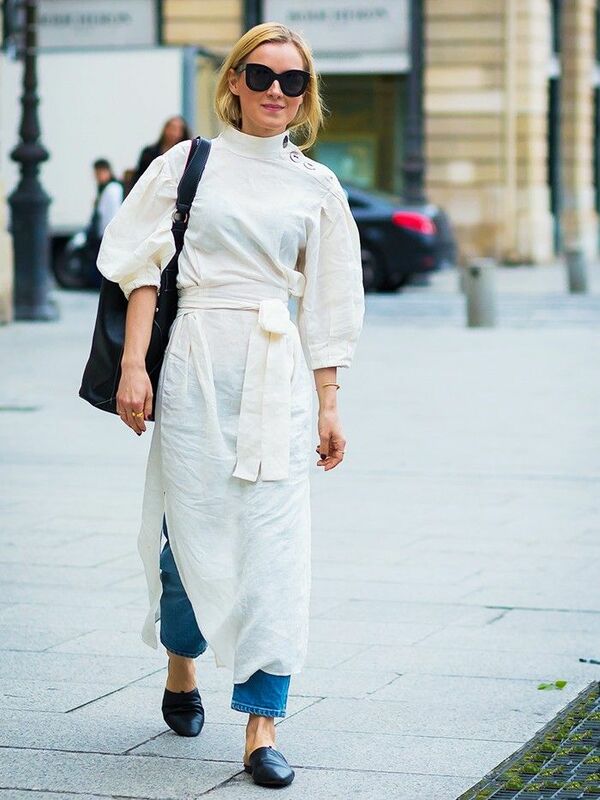 Style Notes: Perhaps you're less of a button-down girl but still want to get in on this layered look. Then opt for something billowing and romantic, ground it with sawn-off denim and black accessories, et voilà! Style Notes: For a more artisanal take on the idea (for this is nothing if not reminiscent of that art-teacher vibe), opt for loose-fitting separates and get creative on the accessorising front. Will you try this layering technique out? For more outfit updates, see the 27 strongest look from Copenhagen Fashion Week.